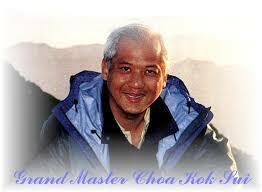 Grand Master Choa Kok Sui, affectionately called Master Choa, is a successful businessman, chemical engineer, spiritual teacher, energy healing master, family man, author and philanthropist. He spent over 30 years researching and dissecting energy healing techniques and systems from all over the world as well as conducting many, many experiments to determine the principals behind the why and how of what was actually happening when people were seemingly miraculously healed. And developed a repeatable step by step system that produces results. Master Choa wrote the book, Miracles Through Pranic Healing , in 1987, which uses a ‘cookbook’ like approach to instruct people on how to treat many different ailments with Pranic Energy Healing. He wrote over 20 different books on Pranic Healing and Spiritual Teachings. Master Choa spent years traveling around the world, often in a different city every week, teaching these techniques to many, many people. He established Pranic Healing Centres all over the world as well as charitable organisations to help ease the suffering of humanity. Because of the great work of Grand Master Choa Kok Sui, thousands of people around the world practice pranic healing and reap the tremendous benefits from it, healing themselves and others of physical, mental, emotional, financial and relationship problems, improving their lives and communities. See the benefits for yourself by enrolling in a Pranic Healing class today! Jessika and Master Choa Kok Sui, August 2002, New Jersey, USA.